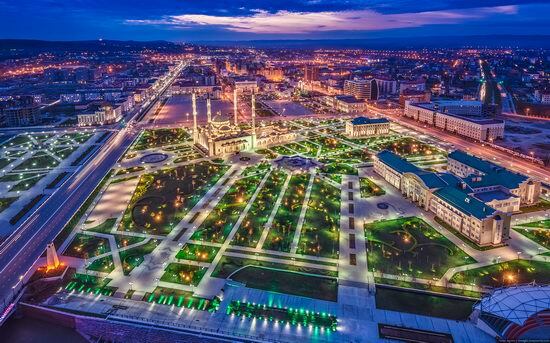 Today, after the war, Grozny is once again the administrative center of the Chechnya Republic of Russia. The reconstruction works are in process. In 2004 the railway connection with other parts of Russia was restored and the Grozny city airport, Severny, began to offer flights to Moscow in 2007. 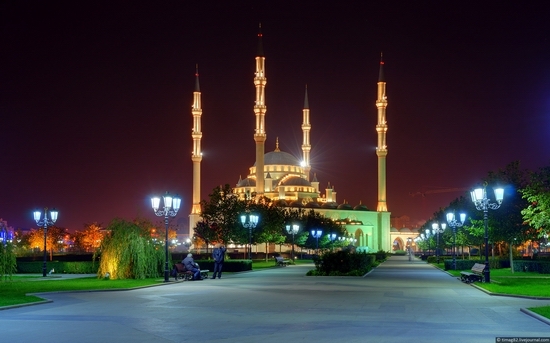 Also, after several years of reconstruction, the beautiful Grozny city mosque (the largest in Europe) was opened in 2008. The following beautiful high-res photos of night Grozny were taken by timag82. October 5 Grozny (capital city of Chechen Republic) with characteristic to local authorities fanfare celebrated the Day of the city. 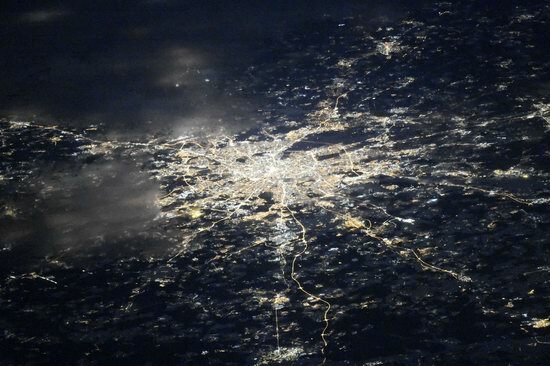 Noncircular date (193 years) has not prevented wide celebrations: such stars as Jean-Claude Van Dam, Kevin Costner and Vanessa Mae were invited to take part in the concert. 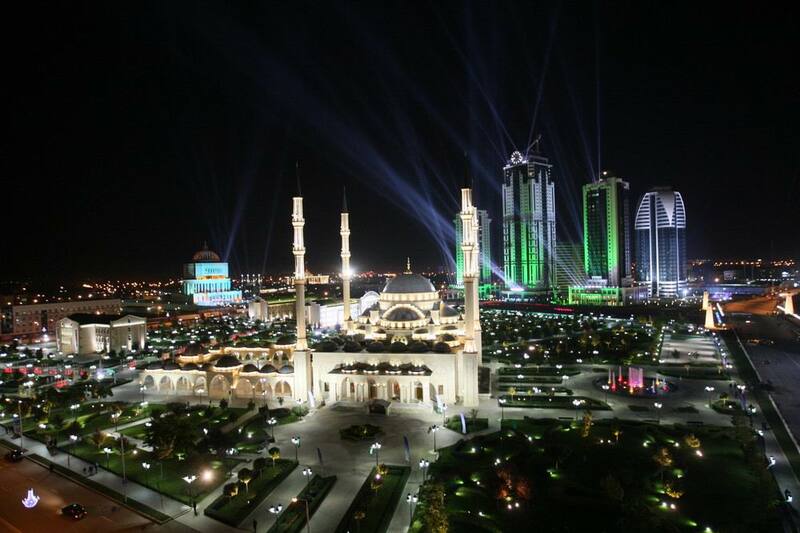 The concert was organized to celebrate the opening of Chechen financial center “Grozny-City,” but everyone knew perfectly well that in fact it was the celebration of the 35th anniversary of the head of Chechnya Ramzan Kadyrov. 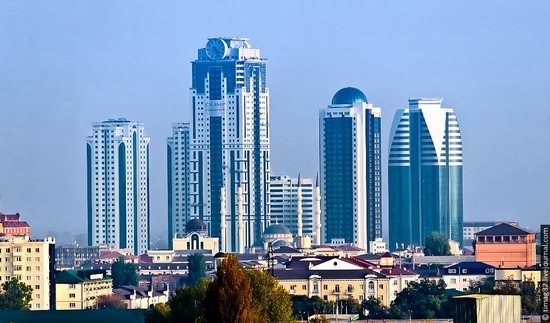 The concert was broadcasted on second federal TV channel.